A quiet lodge within a gorgeous landscape. 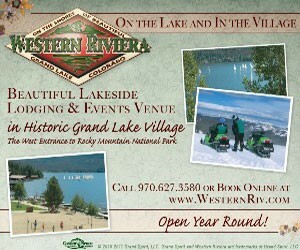 Delight in the clean mountain air, wildlife, close proximity to Rocky Mountain National Park and premium outdoor fun. Swiss-style inn with 9 unique rooms and suites. Indoor swimming pool. Rooms have large jetted tubs. Bar and restaurant onsite. Quaint Bed & Breakfast within walking distance to Estes Park. Rooms and a cottage with amenities such as outdoor hot tub, decks, complimentary beverages. Historic home now a rustic inn. Stunning views from guestrooms, hot and hearty complimentary breakfast. Option of an authentic log cabin. Tons of outdoor recreation. Choose a room with fireplace, whirlpool spa or other fabulous amenities. Luxuriate in the outdoor hot tub, explore Estes Park attractions. This warm and friendly Bed and Breakfast provides an ideal getaway retreat. Hot tub, fireplaces, comfortable and cozy rooms. Services include hiking info. 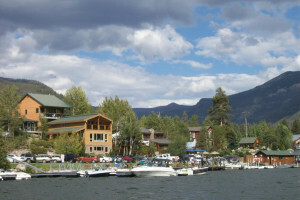 Year-round Bed and Breakfast providing the best of Estes Park lodging. Beautifully decorated rooms. Order a homemade picnic and explore the Rockies. Relax in the Rocky Mountains on a vacation of a lifetime! This charming B&B inn offers cozy suites with refrigerator, microwave, flatscreen TV. Luxurious B&B inn welcomes all who enter! Landscaping with waterfall, Koi pond and more. Complimentary in-suite breakfast service. Cable TV, WiFi, much more. This Colorado alpine Bed & Breakfast is the best place to unwind. Close to Rocky Mountain National Park. Only 700 feet to lake fishing.